Our CEO David E. Rutter sat down with Financial News for a very entertaining (and paywalled, sorry) interviewthat gives more than a few anecdotes on R3 and how we attempted to surf the blockchain hype cycle…all while trying to not get snared in the ‘reef of inflated expectations’ that hides just below the surface. But as Dave says, it is the hardest any of us have ever worked in our careers and yet the most fun any of us have ever had. 1. Most cost savings appear unlikely to come in the core system itself, but rather more likely through reducing bank reconciliation efforts. The initial design is quite collateral intensive while the current system is already highly efficient. 2. There’s the potential for more savings if other applications could be built on top of a core cash payment distributed ledger system (eg financial asset clearing and settlement, trade finance). 3. In an actual production system, trade-offs will need to be resolved between how widely data and transactions are verified by members of the system, and how widely information is shared. 4. While DLT may aim to reduce concentration of risk, a substantial amount of centralization would still be required (eg permissioning of nodes and setting of operational standards) if applied to wholesale payments systems. CoinDesk has continued their reporting on the upcoming announcement of Enterprise Ethereum, with twoarticles this past week, as the group readies for an official announcement soon. We are glad to see that the enterprise blockchain space, both within Hyperledger and the new Enterprise Ethereum, has started to focus on the core requirements of scalability and confidentiality. To echo what our CEO said above, there will be no shortage of hard work involved as the new group “state channels” their inner cat herder. [B]lockchain developers will be given access directly to the GPI as part of a hackathon. “We’re going to open those APIs for fintech and blockchain designers to come up with … new ideas,” Raymaekers said. Why blockchain could be a new ‘operating system for the planet’ indirectly from Jeremy Wilson, Vice Chairman of Barclays Corporate Banking. 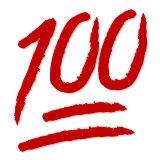 I would give Mr. Wilson multiple “keepin’ it 100” emojis if I met him in person. This is a sentiment that we have been discussing quite a bit lately.